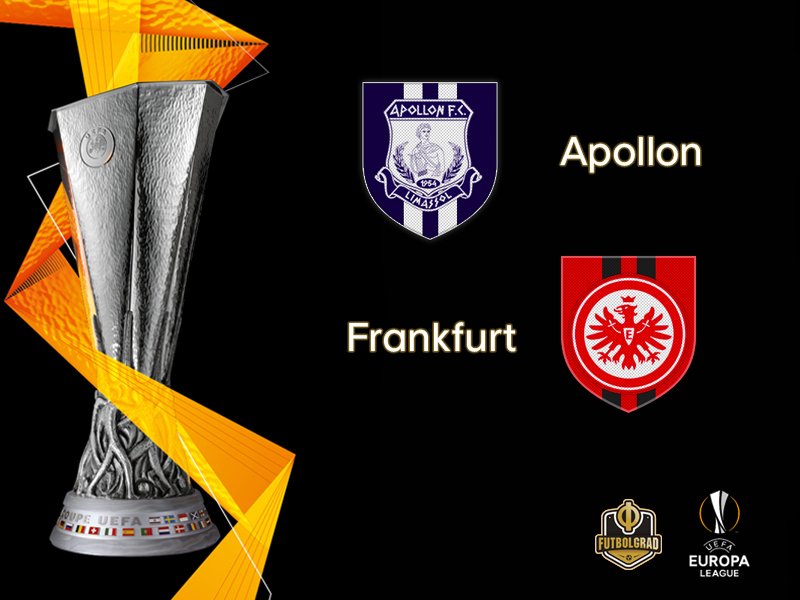 Apollon will fight for survival when they host Eintracht Frankfurt on matchday 4 of the Europa League. With three games played the Cypriotes have collected just one point, a 2-2 draw against Olympique Marseille, and could be eliminated on Thursday should they lose to Eintracht Frankfurt and Lazio at the same time beat Marseille. The Cypriote runner-ups were always going to have a tough time in a group involving a Bundesliga, Serie A and Ligue 1 side. That said in their European home games this season Apollon have been a force to be reckoned with. Watch Champions League live! Book your European football travel now by visiting Nickes! Nicknamed Theos (God) Apollon are, however, unbeaten at home in five Europa League games (including qualification). They have also managed to win four out of those five games including against FC Basel in the playoffs (1-0). Those results should be enough of a warning for Frankfurt, who have got off to a perfect start, a 2-1 win away to last season’s beaten finalists Marseille preceding a 4-1 home success against UEFA Europa League regulars Lazio before they made it three wins out of three against Apollon last time out through first-half goals from Filip Kostić and Sébastien Haller. A fourth successive win will secure their qualification, as will, a draw should Marseille fail to win at Lazio. Frankfurt’s European performances have been in line with their domestic success. The Eagles are soaring at the moment and were excellent against VfB Stuttgart on matchday 11 of the Bundesliga. Beating Stuttgart 3-0 Frankfurt head coach Adi Hütter unleashed the attacking trio Sebastien Haller, Ante Rebić and Luka Jović. “Ruthless” was the headline in the German magazine kicker following Frankfurt’s victory that saw Haller, Rebić and Nicolai Müller score. Jović and Haller, together with Paco Alcacer, are now on top of the Bundesliga goalscoring charts. Haller is also the league’s top scorer with seven goals and six assists. “I have to compliment the three up front,” Hütter told the media, “not just for the two goals but also for their work rate.” Jović, for example, did not score that evening but assisted on both goals further adding to his already impressive scoring tally and now stands at seven goal and three assists. The attacking three up front are already compared with VfB Stuttgart’s magic triangle of Fredi Bobić, Giovane Elber and Krasimir Balakov that took the Bundesliga by storm in the 1990s. That comparison, however, overlooks the fact that Frankfurt’s front three lack a playmaker, as Balakov was, instead Frankfurt’s attacking three is all power and on form, there will be very little Apollon can do to stop Frankfurt from qualifying for the round of 32 of the Europa League. Facundo Pereyra has been in excellent form in the Cypriot First Division this season. In four games the 31-year-old Argentine has already managed five goals scoring every 55 minutes for his club. The story is, however, different in the Europa League. Here Pereyra has struggled to find the net as he is still waiting for his first goal in seven games (including qualifying). Nonetheless, the 31-year-old is a dangerous forward, who can hurt his opponent. 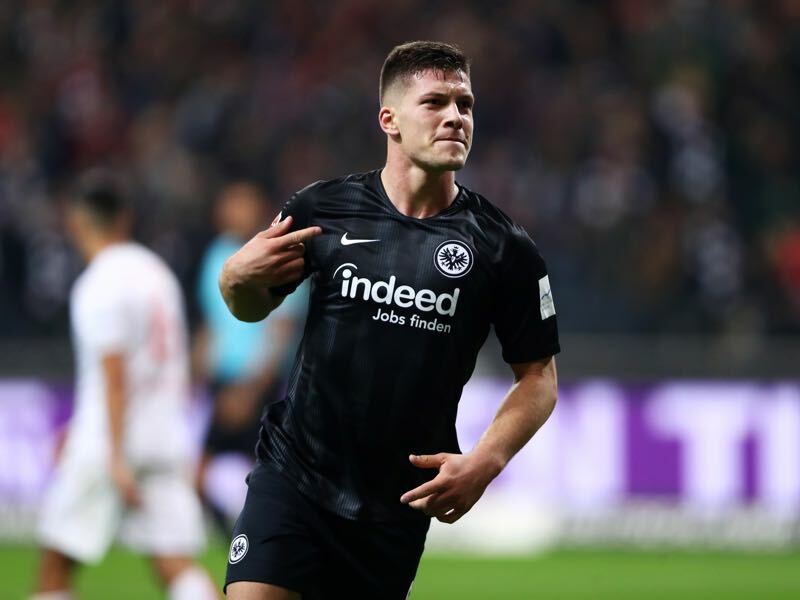 Luka Jović wrote history on Friday night against Fortuna Düsseldorf. The 20-year-old Serbian striker is now the youngest player in the Bundesliga to have scored five goals in one Bundesliga game. Furthermore, in the last 30 years, only two other players, Robert Lewandowski (2015) and Michael Tönnies (1991) managed to score five goals in one game. “I haven’t seen many strikers like him. Luka has enormous potential,” Hütter told the media after the game. Frankfurt signed Jović on loan from Benfica in the summer of 2017. Jović had struggled in Portugal after completing a difficult transfer from Red Star to Benfica. Lacking playing time Jović then decided to make the move to Germany and Eintracht sporting director was clever enough to anchor a buy-on clause of €12 million into his loan contract. Frankfurt are now more than willing to trigger the clause for the forward, who is often compared to Colombian striker Falcao. Apollon have now lost all four of their games against German clubs without scoring. Their two previous fixtures at home to Bundesliga clubs both ended 0-2, most recently against Borussia Mönchengladbach in the 2014/15 UEFA Europa League group stage. The Limassol club had won all four home games in this European campaign, scoring ten goals and conceding just one, before the matchday two draw against Marseille. Apollon have been beaten just once in their last 15 UEFA encounters on the island (W9 D5) – 3-0 by Everton in last season’s final group game. 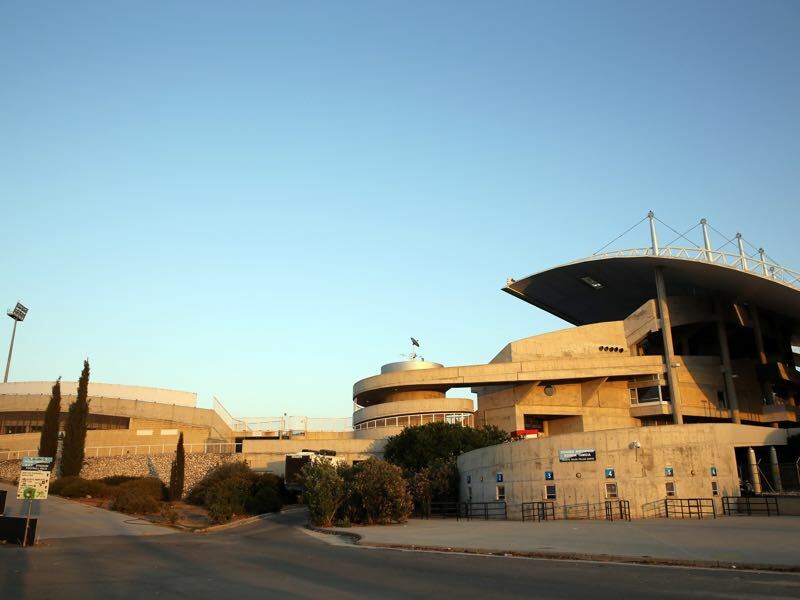 Eintracht also won both of their previous matches against Cypriot opposition without conceding, prevailing 3-0 at APOEL in the 2013/14 UEFA Europa League group stage at the GSP Stadium on their only previous visit to the Mediterranean island.